Knitting is one of the pastimes of many women all over the world. It is a method by which yarn or thread may be turned into clothing. It consists of loops, referred to as stitches, which are pulled through each other. Knitting may be done by machine or by hand. 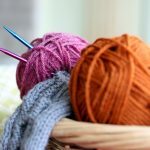 The two basic forms of knitting are ‘weft knitting’ and ‘warp knitting’. The more common is the weft knitting, wherein the wales (the adjacent columns) intersect the course (the path of the yarn throughout the fabric) of the yarn, while in warp knitting, the courses and wales run parallel with each other. In weft knitting, the whole fabric can be made from a yarn by means of adding more stitches to each wale while moving across the fabric. In warp knitting, the knitter will require one yarn for every wale. Warp knitting is basically done by machine, but weft knitting can be done both by machine and hands. Warp-knitted fabrics, commonly used in lingerie, like milanese and tricot, are resistant to runs. 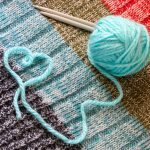 Additionally, weft-knit fabrics can also be knit with multiple yarns, commonly used to create interesting patterns of colours. 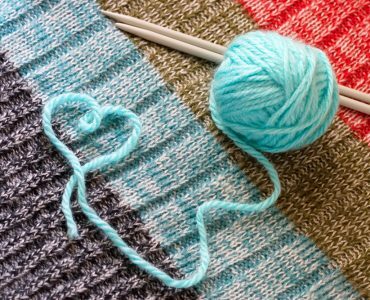 Two of the most common techniques used to produce patterns with multiple colours are double knitting and intarsia. In intarsia, fields of various colours and materials seem to be inlaid in one another, but are in fact all separate spools that fit together like a jigsaw puzzle. Knitting is a fun pastime that one can learn easily. 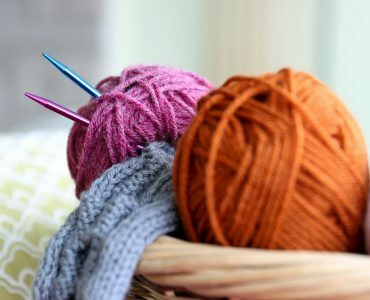 By simply knowing the basics of knitting and with continuous practise, one can be a good knitter.